In a city where warung (stall) sit on nearly every corner offering a range of delicious, greasy delights from sate ayam (chicken satay) to nasi goreng (fried rice), it can be challenging for busy Jakartans to maintain a diet that is not only healthy but also affordable and tasty. It is no wonder, then, that the number of time-poor Indonesians eating these foods on a daily basis has increased significantly over the past three years. According to Statistics Indonesia (BPS), the amount Indonesians are spending on prepared food and drinks – including fast food, packaged food and food from restaurants and stalls – increased from 29.6 percent in 2016 to 34 percent in 2018. This shift is creating negative outcomes for the health and well-being of a growing number of Indonesians. The 2018 Basic Health Survey found the number of overweight Indonesian adults rose from 11.5 percent in 2013 to 13.6 percent. However, the number of Indonesian adults suffering from obesity – defined as a body mass index (BMI) of more than 27 – increased from 14.8 percent in 2013 to 21.8 percent in 2019. This means that one in three Indonesians aged over 18 have weight problems. 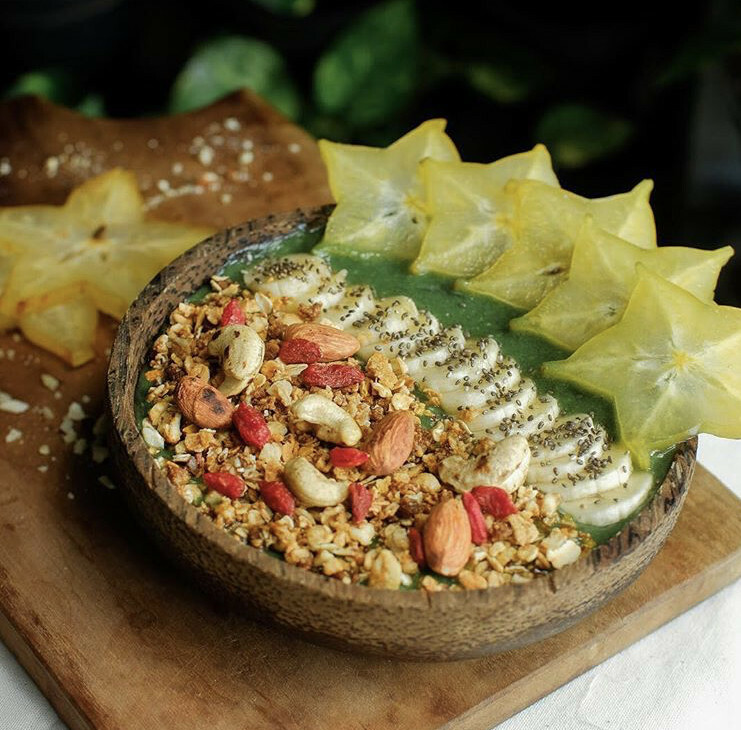 Max Mandias, executive chef and co-founder of Burgreens, a plant-based, wholefood chain in Jakarta, struggled with his health before adopting a plant-based diet and eventually launching Burgreens with his partner, Helga in 2013. At the end of 2012, while he was living in the Netherlands, Max found himself sinking into depression. However, when he started doing some research, he soon discovered that depression can be nutrition-related and that eating more wholefoods rather than processed foods can help reduce symptoms. “I thought that was interesting, so I tried it for three months,” he said. Max then spent five months as a volunteer chef at Alchemist Garden, a raw, plant-based restaurant in Amsterdam, where he had the chance to talk to others like him who were able to turn their lives around – even overcoming chronic illnesses like cancer and diabetes – by simply changing their diet. Inspired by what they saw, Max and Helga decided to bring a similar concept to Jakarta. “A lot of people in Indonesia are dying prematurely because of poor nutrition and a poor lifestyle,” Max said. The choices are plenty. Tana Suwardhono – together with her best friends Reina Wardhana, Dian Sastrowardoyo, Putri Hardiman Alamsyah and Jessica Halim – founded 3 Skinny Minnies, a diet catering company. 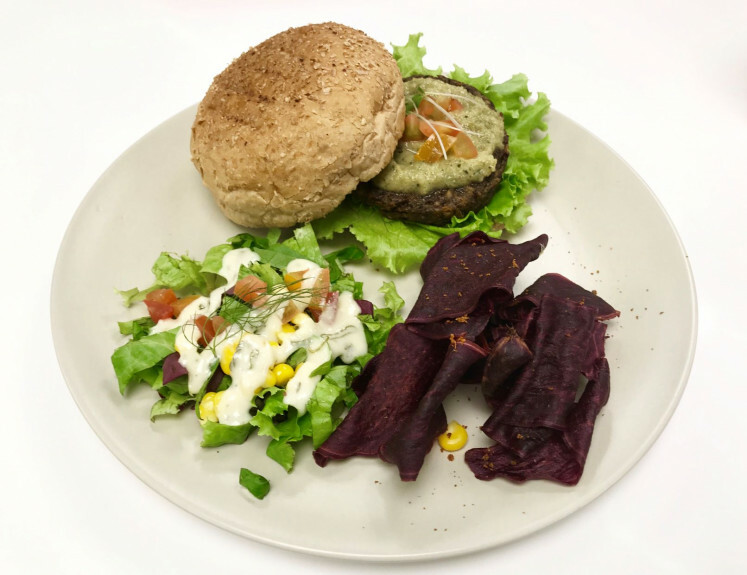 Other options include MAM Burger and Bowl in Senayan City and, most recently, Green Wok – a new grab-and-go chain offering healthy, low-calorie food in several locations in Jakarta. Tana, the executive chef of Green Wok, said that although the number of healthy food options in Jakarta had increased, accessibility and affordability was still an issue. “There’s a lot for choices now, but most of them are expensive, because I think even in Australia and America, healthy food can be expensive, usually because of the specialty ingredients you use,” she said. Unlike most other health food establishments in Jakarta that focus on Western foods such as salads and smoothies, Green Wok is attempting to fill in a gap in the market for convenient, affordable, healthy, and – most importantly – tasty food inspired by Indonesian rather than Western cuisine. “Indonesian food now uses a lot of oil and salt, but the traditional Indonesian diet is full of vegetables, a lot of spices, you just need to throw it in the wok and use a little bit of oil and salt,” she said. Max said the most important thing people should consider when making the change to a healthy diet is to stock up on snacks like fruits or nuts and have them close at hand. “If you eat out all the time, it will be expensive,” he said. “That’s why I always say to people that you have to cook some foods at home, like breakfasts or snacks. You have to stock up on some healthy snacks, like nuts, dried fruit, fresh fruit and vegetables. Another tip Max shared was to bring some of your own pre-prepared food when you know you’re going to eat at a restaurant without healthy options. “So for instance, in the restaurants in Jakarta, it’s very hard to find complex carbohydrates like brown rice, red rice or sweet potatoes,” he said. Tana shared a similar sentiment, and said that although changing your diet can seem daunting, even making small changes can make a big difference. “Starting is always the hard part when it comes to exercising or eating better,” she said. Put all ingredients in a high-speed blender and blend until smooth. 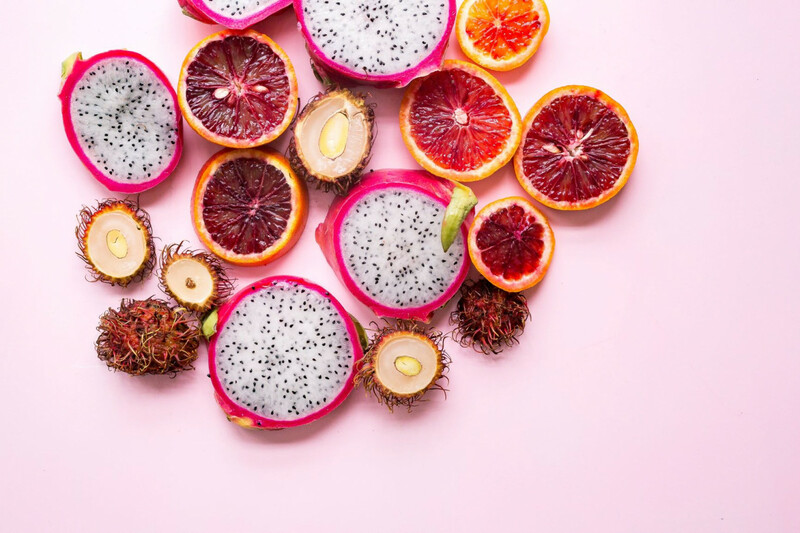 Pour into a bowl and garnish with anything you like, such as chopped pineapple, dragon fruit, strawberries, granola, or coconut flakes.